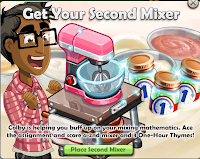 ChefVille players have been asking how they can receive their second Mixer aka the Pink Mixer. 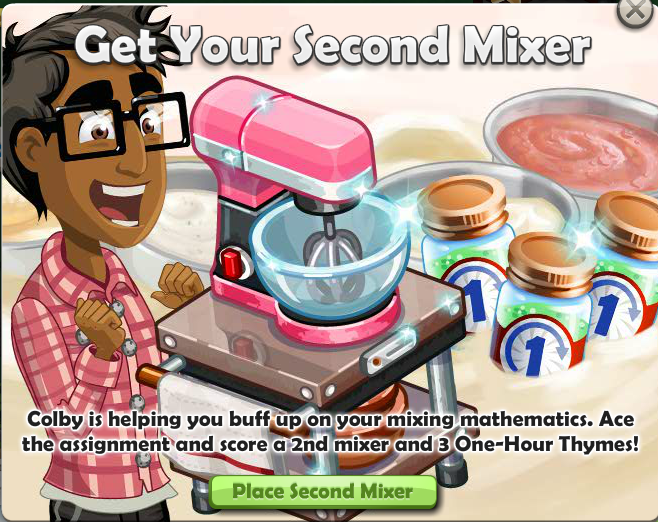 Here are some simple steps to getting your Second Mixer. Step #2. Click on the green button labeled "Place Second Mixer" as shown in the picture to the right and place the Mixer somewhere in your restaurant. Note: It will look like an unopened package. Step #3. Click on the placed package 3 times. This will cost you 3x Energy. Step #4. 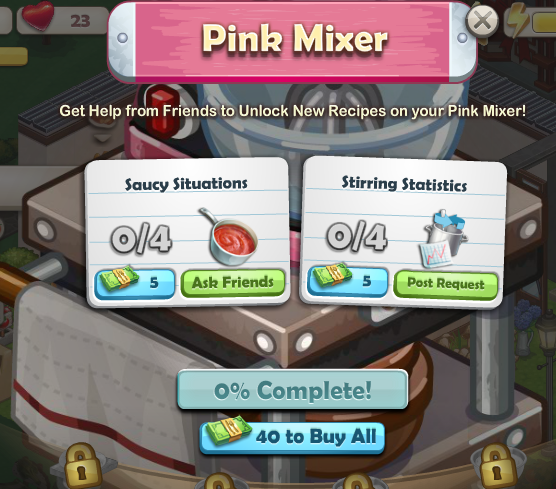 To finish the Pink Mixer you will need 4x Saucy Situations and 4x Stirring Statistics. You can Ask Friends for these items or buy them for Cash. Hope this helped! Please comment below if you feel there is anything else important to note about the Second Mixer or Pink Mixer in ChefVille. Thanks For Reading! 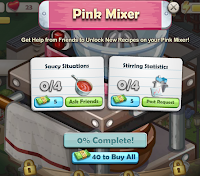 Still not getting the prompt (or unopened package) for a second mixer :( Most of my other ChefVille friends have the mixer. :( Thanks for posting this, though. Sorry everyone, maybe it's a glitch for some players? still not getting it. is there any other way? No pink mixer following these directions. I did read somewhere that they are slowly rolling out the pink mixer this week to the rest of us???!!! !